JT's little piece of the internet. 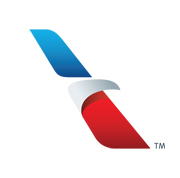 Ever since the merging with US Airways, American Airlines’ primary objective seems to be filling every possible seat and flying their planes as full as possible. Actually, all airlines try to do this, and the biggest of them (AA and UA) put their full planes (read: their profits) ahead of their customers by overselling the heck out of each flight, and having many passengers eagerly waiting for a seat on “standby”. The problem here is that if you miss a connection, you’re basically screwed because they’re giving away your seat and you’re going to sit on your hands hoping to get a seat at some point, somehow, to your final destination. To hell with your vacation or work plans. I had this epiphany a few weeks after swapping air travel stories with another passenger during a Southwest flight from LGA to DEN. © 2019 JT's Blog All Rights Reserved.